To help us and others look after the area we need to understand what’s here. To look after the countryside we break it down into areas, define the characteristics of those areas then we have a list of what’s important to look after. 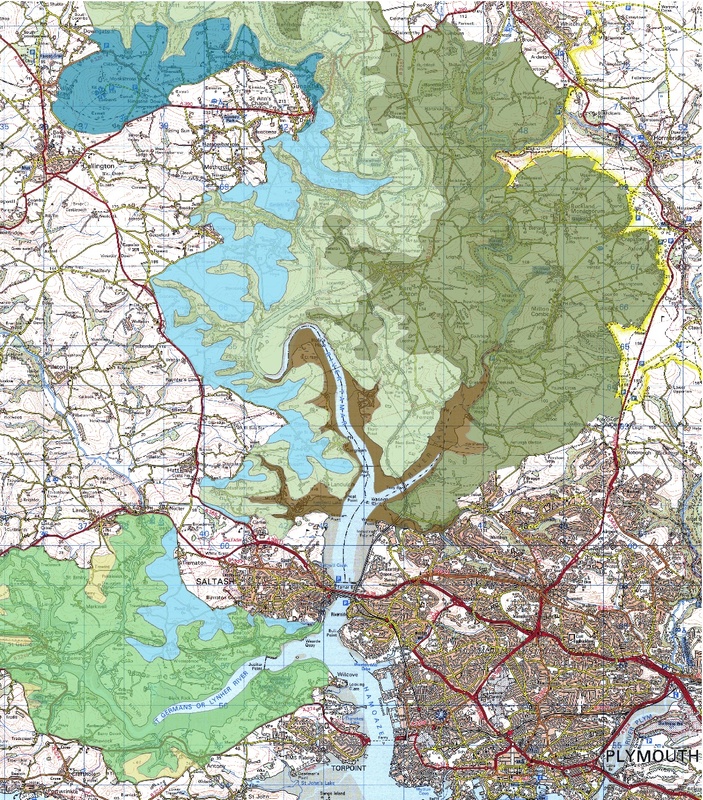 A full Landscape Character Assessment for the Tamar Valley AONB was completed in 2008. The Assessment was initially at the level of the Landscape Description Unit (LDU), firstly as a desk study then checked and validated through field work. The LDUs map areas with similar landscape character based on their physiography, ground type, cultural pattern and land cover. LDUs were then grouped into larger Landscape Character Areas with common key landscape characteristics providing a ‘sense of place’ over a geographically distinct area. This process is assisting the work of the AONB by providing a more ‘scientific’ method for assessing the value of landscape. It underpins the new AONB Management Plan and will increasingly be of value as a tool for planners and other land managers. Best Practice Guidance for the use of Landscape Character Assessment will be available soon on the Cornwall Council website. Please note that the Character Areas extend beyond the boundaries of the AONB and in some cases the majority of the area is outside. Landscape Description Units (LDU) for the Tamar Valley AONB. Click on the map to enlarge and view the locations of each LDU. To view summary profile of each LDU please download the PDFs below. Please note that the profiles for Cornwall and Devon have different formats. Profiles for the Devon side of the AONB have a fuller character statement and key characteristics but do not include the summary of desk study information that is the basis of the Cornwall profiles. For a full explanation of the LDU attributes, e.g. Marine levels, Unsettled wildland, please see the Methodology and Glossary sections of the Technical report on the Cornwall website.